You know you have reached the pinnacle of piano teaching when kids beg their parents to practice piano. 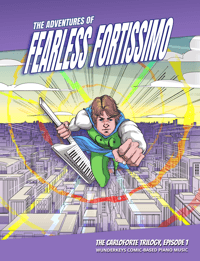 It’s true; nurturing kids to become this invested in piano lessons is no easy task. 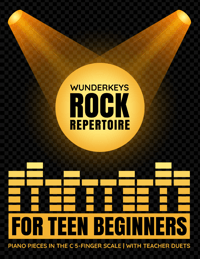 But it can be done… and the simplest way to get started is to get your piano students composing! Composing gives kids a sense of pride and ownership over their music. And when you combine those two things with a piece they love, you will literally have to peel them off your piano. 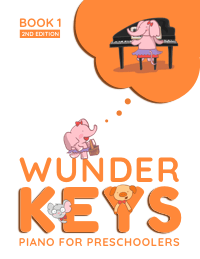 In today’s post we’re showcasing a story-based resource that lets young students compose mini-measures to complete engaging, early-elementary piano pieces. Check it out below. Farmer Felix is too old to tend to his land, and Barnyard Brooke doesn’t have the money to buy him out… unless she can win the award for the County Fair’s Finest Farmhand. But when disaster strikes on the day of the competition, nothing but a musical miracle and some magical motives will save the day. 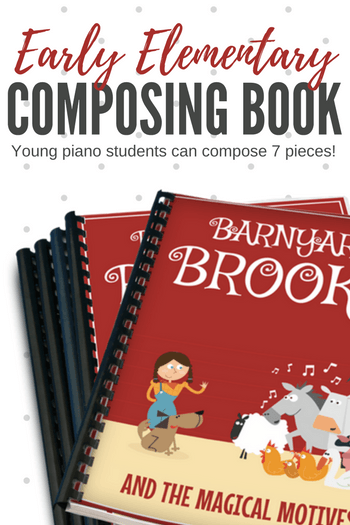 Barnyard Brooke and the Magical Motives is February’s Piano Book of the Month from Teach Piano Today’s PianoBookClub. 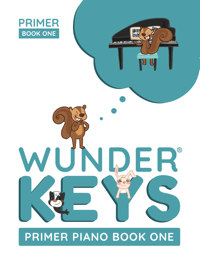 It has the memorable characters, engaging illustrations, and creative music that teachers need to capture the imaginations of their piano students, giving them the tools and the motivation required to compose seven original compositions. 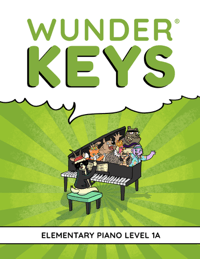 Designed to make music creation fun and accessible for your Early Elementary piano students, this book is a simple-to-follow, step-by-step resource that will have your students composing ’til the cows come home. Even if you’ve never taught composing before… your students will be running out your studio door waving their very own masterpiece after one lesson. 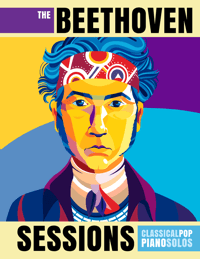 If you click on the image below you’ll be able to preview 11 pages from Teach Piano Today’s PianoBookClub Book of the Month for February. If you like what you see (and love the idea of receiving inspiring piano repertoire each and every month), become a member of Teach Piano Today’s PianoBookClub for just $8 monthly and we’ll start you off with Barnyard Brooke and the Magical Motives. 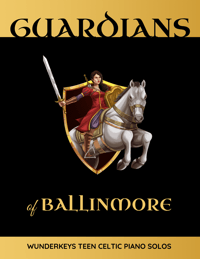 Note: This book is available only until February 28, 2018.